Saturday Musings - This weeks edition of random Saturday is brought to you by big kids and the happiest place on Earth. by big kids and the happiest place on Earth. This week, we were off an adventure to Los Angeles to visit one of my sons and his girlfriend. and so- an hour long flight is perfect. While flying, my teenage daughter decided to start quoting Bridesmaids. In case you were on the same flight- we were the ones who were laughing non stop. really might have gotten a little out of hand. While in LA we decided to spend a day over at Disneyland. doesn't mean they don't love it just as much. taking photos and people watching. Unfortunately, by the evening- that big kid of mine was not feeling too good. a bug he and his girlfriend had the week before. and came out with Twix bars & half-price cottage roses. And they smell amazing too unlike some of the hybrid roses. I think it might possibly be a crime to have left them at the store. It has been in the 70's and 80's this week but it is supposed to rain over here this weekend. I love a day of rain for inspiring me to just take some time and create something. working on writing projects or just putting the finishing touches on a creative project. I am thinking of making another flower cone for our front door - simple and easy to create and so charming made out of chicken wire. 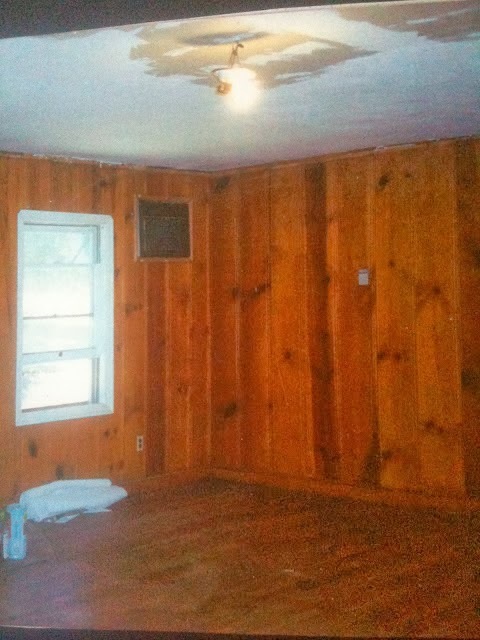 I am getting ready to freshen our knotty pine walls with a coat of paint. and look like this currently. I go back and forth on the best shade of white- and honestly, white is hard. They seem to be either too yellow, too blue, too gray, too pink, too stark, too creamy. and share my thoughts in case you are looking for the right white as well. That is about it for this Saturday musing post. It makes me smile to read of your adventures with your grown children. There is nothing more pleasing for a parent than to have connected and loving relationships with their adult children. And Disney knows how to make us all feel like kids no matter what our age. Have a great weekend Courtney....I can just imagine the conversation on the plane...too funny...loved that movie!....and must say I love your shoes!...hope everyone is feeling better! I wish I had been on that flight, it would have gotten my mind off my fear of flying!!! Hope your son is better! I just watched "Bridesmaids" this afternoon - too funny! Glad you had a fabulous trip and I love the shade of white you currently have on that wall - it's fabulous!!! Courtney, thanks for sharing your travel photos (and story)-- New Orleans Square is my favorite part of Disneyland too. And thanks for hosting Feathered Nest Friday.